There’s something special about seeing dance performed in a studio setting. It’s that sense of peeping behind-the-scenes, watching dance in the place that it’s made. For this reason, I’m always pleased to head along to STRUT Dance’s annual “Short Cuts”, a mixed bill of short new contemporary dance works by independent artists, divided into two programs, A and B. As the audience is reminded each year, each “Short Cuts” artist has just 20 hours in the studio to create and rehearse their work. So, although the program is presented to the public, the works are generally first-stage developments of new ideas; works in progress. The nature of “Short Cuts” makes it more accessible to younger choreographers than most creative opportunities, and this year’s Program A is comprised, predominantly, of works from young emerging choreographers, with the exception of Unsex me here, created and performed by Kynan Hughes and Bridget Le May. An exploration of the character of Lady Macbeth, this grappling and compelling duet is accompanied by droning strings, electronic beats and snatches of text from Macbeth, spoken with intensity by Le May. Particularly effective is the use of a hand-held light which creates pockets of darkness as it disappears between the dancers’ bodies as they clasp one another. 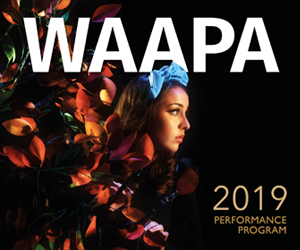 At the other end of the spectrum, in terms of professional experience, are two works by 2018 graduates of WAAPA’s Link Dance Company (a one-year pre-professional company for graduates). fish feet, by Jessie Camilleri-Seeber and Jocelyn Eddie, is a primary-coloured, four-part “conversation as word association” performed by Alex Abbot, Rhiana Katz, Kimberley Parkin and Macon Riley. A series of overlapping and interweaving anecdotes from four characters – accompanied by and interspersed with solos, duets and quartets – this work has a cartoon-like feel. Nights in White Satin, by Kimberley Parkin, is a solo work (plus cameo by Parkin), performed by Ana Music, in which the dancer lurches, physically and metaphorically, from audience member to performer. Though entertaining, and performed with zesty aplomb by their young casts, both these offerings felt a little too ambitious in terms of length and scope. The remaining four works are by dance artists who graduated from WAAPA between 2013 and 2016. Two are solos, the first of which is Tried, In My Way, choreographed and performed by May Greenberg. Set to a recording of Leonard Cohen’s “Bird on a Wire” by Ester Ofarim (but initially sung unaccompanied by Greenberg), this gutsy solo showcases Greenberg’s strengths with surges and collapses, and long leg extensions that draw air-borne circles. The second solo, Different I’s, is choreographed by Russell Thorpe and performed by Rhiana Katz. Investigating “consciousness and how we remember ourselves”, Different I’s has a dreamy, thoughtful quality, that was beautifully conveyed by Katz. For me, the two highlights of the evening were the first and last pieces. Opening the program, The Collapse of Brief Systems, choreographed by Dean-Ryan Lincoln and danced by Lincoln and Tahlia Russell, impressed with its movement exploration. In particular, the latter section of the work, in which a subtle weight shift almost imperceptibly expands and morphs from quiet to desperate gestures, is captivating. Concluding proceedings, Mitchell Harvey’s Views and Series is trio for three women that takes its inspiration from the paintings of Japanese artist Hokusai. Though the resulting work seems more abstract than the program notes imply, as an exploration of movement and light, this work is engaging. The strong drum beat of Hirota Joji’s “Heart Beat” drives the work, which is at times serene and sculptural, at others athletic and sensual. There’s a pleasing physicality to this work, embodied here by dancers Ana Music, May Greenberg and Zoe Wozniak. With its limited creative development and rehearsal time, “Short Cuts” can be a mixed bag. This year’s Program A, though varied, is consistently engaging. “Short Cuts – Program A” is showing again at 5pm, Saturday 13 April. Program B runs Friday 12 April and Saturday 13 April at 7pm. Presented in an intimate studio setting, the program showcases 15 new short works from WA choreographers/choreographic teams, split into two programs (each performed twice). Join us for a discussion on where traditional aboriginal dance sits in the contemporary setting with Simon Stewart and Ian Wilkes. Join Ausdance WA for a night of wine, cheese and of course DANCE! Our Networking Nights are a great opportunity to connect with the WA Dance Community and expand your knowledge. Following multitudes of requests on this subject, we decided to base the talk on Aboriginal and Torres Strait Islander dance. Learn about the respectful use of Indigenous cultural material and information about life experiences with the basic principals of: respect, Indigenous control, communication and consultation. This is a timely opportunity to question our perceptions and expand our knowledge on how best to integrate Aboriginal and Torres Strait Islander histories and cultures. This is a great night for all individuals interested in dance. Ian Wilkes is a traditional Noongar dancer, writer, director and actor who has performed recently in 3.3 and Kwongkan [sand] with Ochre Contemporary Dance Company. He is pictured in the above image with performers Nadia Martich and Isha Sharvani. Simon Stewart is a celebrated Aboriginal contemporary choreographer, who is a Sessional Lecturer at WAAPA and regularly works with Ochre Contemporary Dance Company. Recently Simon worked with High School Students directly in a residency at All Saint’s College. Limited spaces are available for this night so get in quick! Wednesday, 14 November from 6:00 p.m. Doors open 5:30 p.m. There will be wine and cheese on the night! Ticket includes drinks and nibbles. Join us for a relaxed sundowner as we unpack three creative projects celebrating diverse voices in our communities. Find out about the process and practice driving these projects and the role of the creative producer to platform these voices. King Street Arts Centre is at 357-365 Murray Street, Perth. Fast Art Talks is from 5pm-7pm. Presenters: Caroline Wood, Director for Centre for Stories, on ‘Bright Lights, No City’ project. Ashley Yihsin Chang, Turner Galleries, on ‘Guanyin in the South West: A Portrait of Taiwan in Perth’ project and Jessica Wraight, CAN on ‘Clay Boodjar Exhibition’. Explore the ecosystem of independent dance in WA. STRUT Dance is excited to present its SHORT CUTS season of diverse new short contemporary dance works from Thursday 14 – Saturday 16 June in Studio 3 at the King Street Arts Centre. 4 performances across 3 nights and 2 programs – presenting 14 new works from across STRUT’s membership.